Autumn. Autumn forest. Forest with sunlight. Path in forest through trees with vivid colorful leaves. Beautiful fall background. Autumn. Autumn forest. Forest with sunlight. 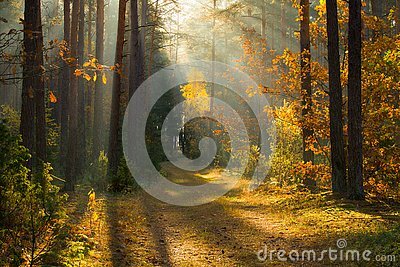 Path in forest through trees with vivid colorful leaves. Beautiful fall background. Fall scenery. Fall wonderland.